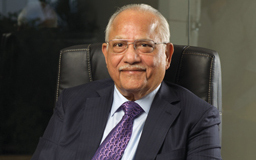 Dr. Prathap C. Reddy: He is the Chairman of Apollo Group of Hospitals. A doctor by profession, credited with ushering in the era of Corporate Hospitals in India. A visionary, under his dynamic leadership, the Apollo Group, with 50 owned and managed hospitals, has emerged as the largest healthcare provider in Asia and the fourth largest in the world. Foreseeing the need for a trained cadre of professionals in healthcare delivery started the Apollo Institute of Hospital Administration in 1994 under Apollo Hospitals Educational & Research Foundation.